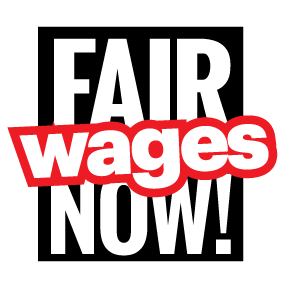 In a joint submission to the Minimum Wage Advisory Panel, Workers’ Action Centre joins with Parkdale Community Legal Services and Freedom 90 in calling on the government of Ontario to increase the minimum wage to $14 per hour. “Raising the minimum wage will help close the wage gap between racialized and non-racialized workers, between newer and longstanding citizens, and between women and men. It will modernize our province’s employment standards by better reflecting demographic trends and discarding archaic and misleading misconceptions about household income. The minimum wage should be calculated based on a 35-hour week. Ontario’s hourly paid employees work, on average, less than 35 hours a week. We should use 35 hours as a benchmark. The minimum wage should be updated every year with the cost of living and reviewed to ensure 10% above LIM benchmark. No worker should be exempted from receiving minimum wage. Currently farm workers and others are exempted from minimum wage under the Employment Standards Act. Workers’ Action Centre, Parkdale Community Legal Services and Freedom 90 are members of the steering committee of the Campaign to Raise the Minimum Wage.